DO YOU HAVE HIDDEN SOCIAL ANXIETY? IT’S MORE COMMON THAN YOU THINK. TAKE THIS SHORT TEST AND SEE. As a student, professor, boss, or worker, we sometimes have to make presentations or talk/perform in front of the people. Also, we meet new people, talk to them and maybe have a meal together. It is normal to feel a bit anxious before these social situations because it would help you to deal with the issues better. However, if all social situations (attending parties, talking to strangers or authority figures, making presentations, maintaining eye contact, dating, using a public restroom, eating/drinking in front of people, and so on) make you feel very afraid and anxious causing a worse result, then you may experience social anxiety. 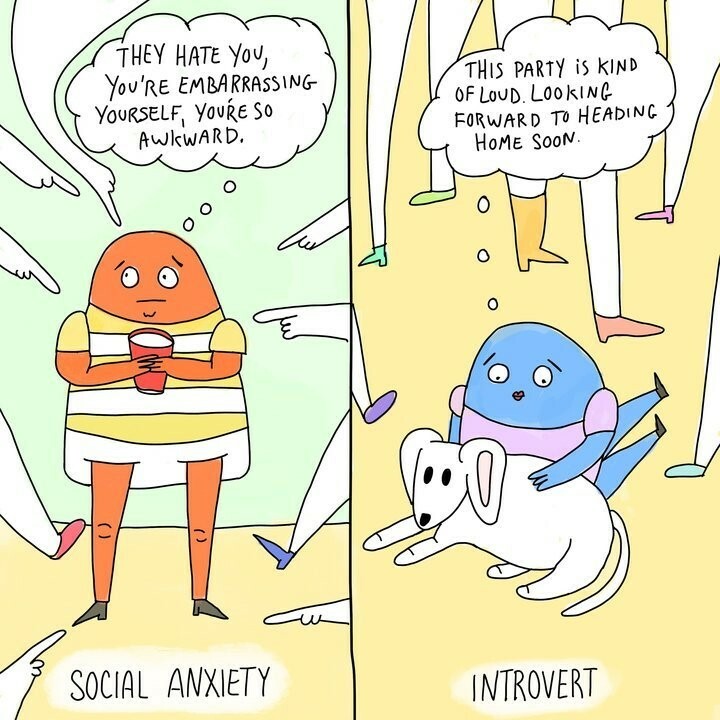 Note that introversion and social anxiety are not the same things. 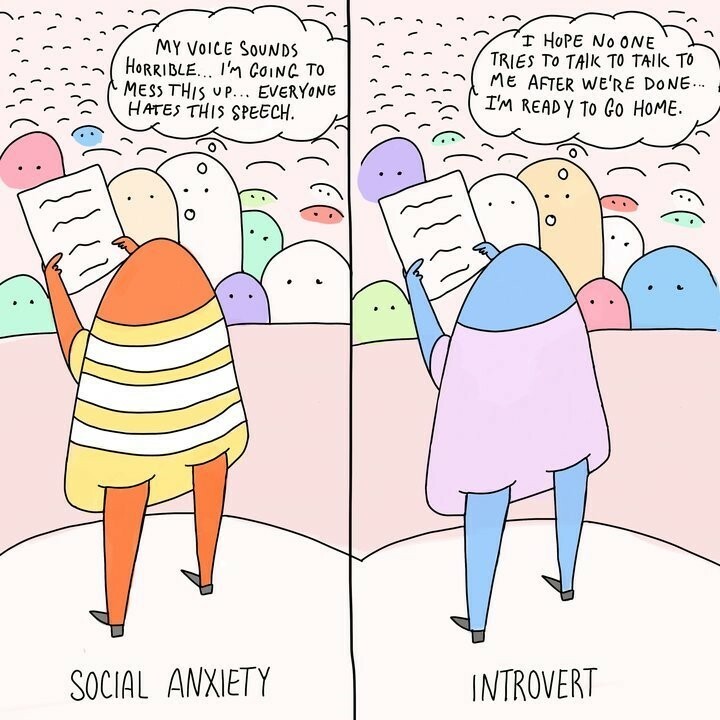 While introversion is a personality feature which the person prefers to be alone and enjoy being alone, social anxiety is a mental health condition which the person gets anxious and fearful in social situations and withdraw himself/herself from these. If you think you more likely experience social anxiety, please take the test and answer yes or no for each question. Every 'yes' answer means one point for you. After answering all the questions, you'll be able to see your anxiety level much better. If you have a higher score on this test, or have a lower score but clearly suffer from it, you might have social anxiety, also known as social phobia. It is an important issue which would make you to withdraw from people and social situations, and fail in school or work because it might result in low self-esteem in people. However, it is not something lasting forever if you get help from a professional and willing to overcome it. The images or scenarios you have in your mind about social situations create social anxiety (e.g. you think everybody will hate you in the party so you decide not to join or you are anxious of being there). Subsequently, if you want to work with these images and scenarios, EMDR (Eye Movement Therapy) might be a good choice for you. Also, EMDR with CBT is a good combination to overcome your anxiety/fear and feel much easier to go into social situations affecting every side of your life. The Virtual EMDR (Online EMDR-Eye Movement Therapy) program works well to stop anxiety/fears and change the negative images with more positive ones. All plans include a 30-day money-back guarantee. Sign up now, and try Virtual EMDR for one week! statistical manual of mental disorders (5th ed.). Washington, DC.